The Christian film ‘Suing the Devil’ opened August 26 and has taken second spot at the indie box office. The film is described as a Christian thriller and was written and directed by Harvard alumnus Tim Chey. 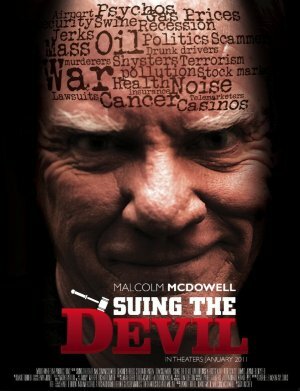 In the film, Bart Bronsen plays Luke O’Brien, a janitor turned law student who decides he will sue Satan (played by Malcolm McDowell) for the sum of $8 trillion dollars. O’Brien is surprised when Satan actually shows up to defend himself with a team of the country’s 10 best trial lawyers.